David Cameron is the Prime Minister of the United Kingdom and leader of the Conservative Party. 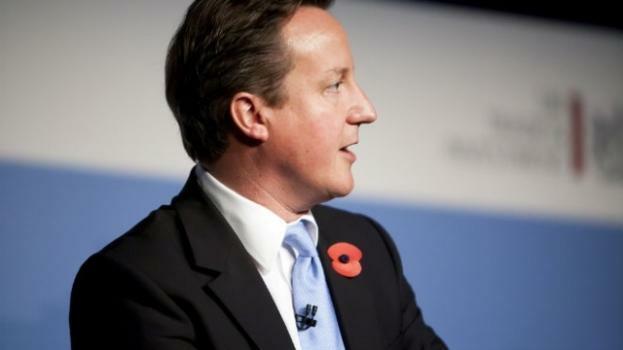 He is notorious for distancing the UK from the EU and considering the possibility of Britain leaving the EU. As the end of his term approaches - general elections will take place on May 7 2015 - the Conservative Party has begun to set out its proposals for an education reform. David Cameron was born on October 9 1966 in London. After graduating from the University of Oxford in 1988, he started working for the Conservative research department and became its head of political questions. He worked on John Major's campaign during the 1992 general election, heading the economic section and responsible for briefing Major on his press conferences. The Conservative's success in the 1992 election led to his promotion as Special Adviser to the Chancellor of the Exchequer, Norman Lamont. That same year, Black Wednesday - when the pound sterling was forced out of the European Exchange Rate Mechanism by currency speculators- heavily affected Lamont, who was removed of his functions in 1993. Cameron was then recruited as Special Adviser to the Home Secretary, Michael Howard. From 1994 until 2001, he worked as the Director of Corporate Affairs at Carlton Communications, a growing media company. In 2001, Cameron left his job in order to run for the parliamentary elections. After winning the seat in Witney (Oxfordshire), he served as a member of the Commons Home Affairs Select Committee, and heavily increased his public visibility. In 2003, he started working in the shadow government. In 2004, he was promoted head of policy coordination in the shadow cabinet and then became Shadow Education Secretary. When Michael Howard resigned as leader of the Conservative Party in 2005, Cameron announced his candidacy. It was not until his speech - without notes- at the Conservative Party Conference, during which he said he would make people "feel good about being conservative again", that his campaigned rallied general support. He lost the first ballot to David Davis (62 votes to 56) but won the second ballot of the election (90votes to 57). Another vote thus was cast to the entire party membership, which Cameron won by far: 134 446 votes against 64 398 for Davis, on a 78% turnout. He was announced leader of the Conservative Party and leader of the opposition on December 6 2005. After the 2009 European Parliamentary elections, the leader of the Conservatives co-founded the European Conservatives and Reformists Parliamentary Group, thus breaking with two decades of conservative participation in the European People's Party group, which he criticized for its federalism and support of the Lisbon Treaty. The General Election of 2010 resulted in a Conservative victory, but they were 20 seats short of an overall majority. This led to a Conservative / Liberal Democrat coalition, led by David Cameron as Prime Minister and seconded by Nick Clegg. Brexit only represented the beginning of the end for Cameronism; more is yet to come. It is easy for the former Conservative leader to make these remarks now that he is out of office. Conservative Future members support Cameron's message to inspire people to vote Conservative. If a 'soft' Brexit is so good, why didn't Cameron pursue it last year? Theresa May: A decision to be made? A clear mandate - time for a clearer Brexit strategy to be outlined for all.